Unfortunately, I have not come across a photograph of Monmore Green station when in use - if anyone has one I'd be intrested to view it. Hence, I've used one of my own shots at the top of the page which is looking up to the site where the station once stood. 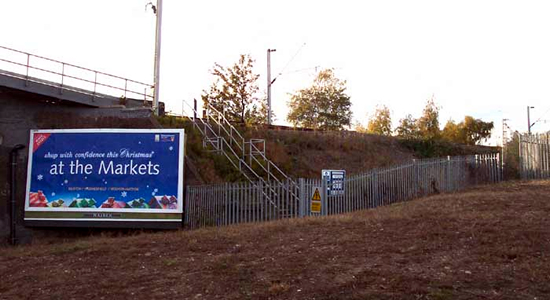 The station opened in 1863 on the then LNWR Stour Valley Line as the first station south of Wolverhampton. Unfortunately, it had a relatively short shelf-life and closed in 1916. I apologise in advance for the scant information on this station but it doesn't seem to have made much of an impression in the area - to an extent I think it is due to its extremely early closing date restricting photo opportunities etc . . .
Above-left is a zoom shot looking to the site of the station from the small wasteground on the corner of Bilston Road and Landport Road. 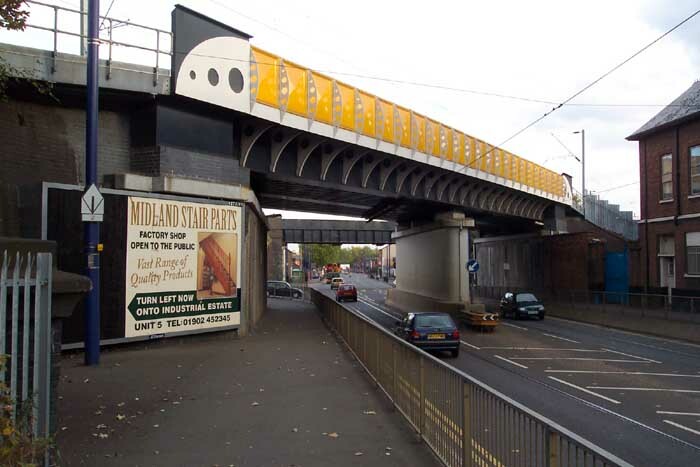 Above-right the station site is to our left and we are looking at the bridge carrying the Stour Valley Line over Bilston Road. 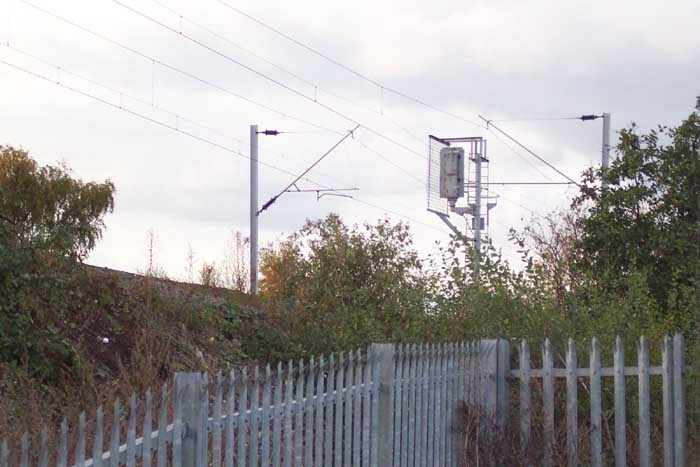 Just discernible are the overhead cables providing power for the Midland Metro light transit system (trams to the rest of us) which emerge from the old GWR line after Priestfield station and travel along Bilston Road. 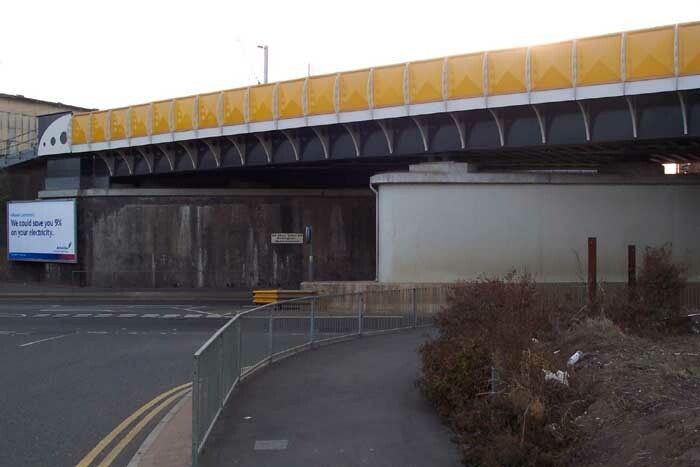 Above-left we are on the corner of Landport Road looking at the Bilston Road overbridge in the direction of Etingshall Road station. 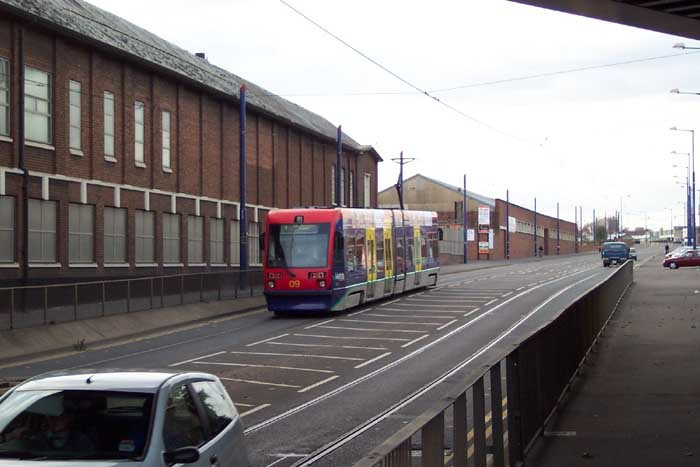 As mentioned above, the Metro travels along Bilston Road and as I was somewhat thwarted in my attempts to get an interesting shot of the Monmore Green station site I thought I'd turn my attentions to the Metro itself.